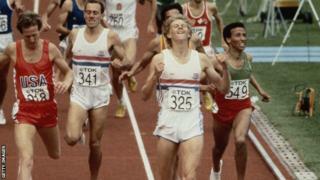 In 1983, middle-distance runner Steve Cram was crowned Sports Personality of the Year. He won 1500m gold at the 1983 Helsinki World Championships, becoming the first man to run the distance in under three minutes 30 seconds. During a 19-day period that summer, Cram set new world records in the 1500m, 2,000m and mile. He retired in 1994 but remains the UK record holder in both the mile and 2,000m.